and we got to sit in the back seat together. on a drive-in date? But it was all we had. how serious you were about the whole affair. and young adults learning what pining meant. next and every time we met hence, for years. our lover’s eyes, to feel love in our bellies. This is the last poem in my book SUPERPOWERS or: More Poems About Flying. 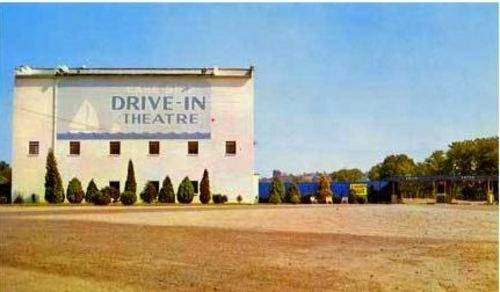 I recently came across the above photo of a postcard from the real Lakeside Drive-In, which of course no longer exists. I was surprised by the intensity of my reaction to the photo and thought I’d share this poem again with the photo to accompany it. The poem is dedicated to Don Martin, who left us almost two years ago, far too soon.